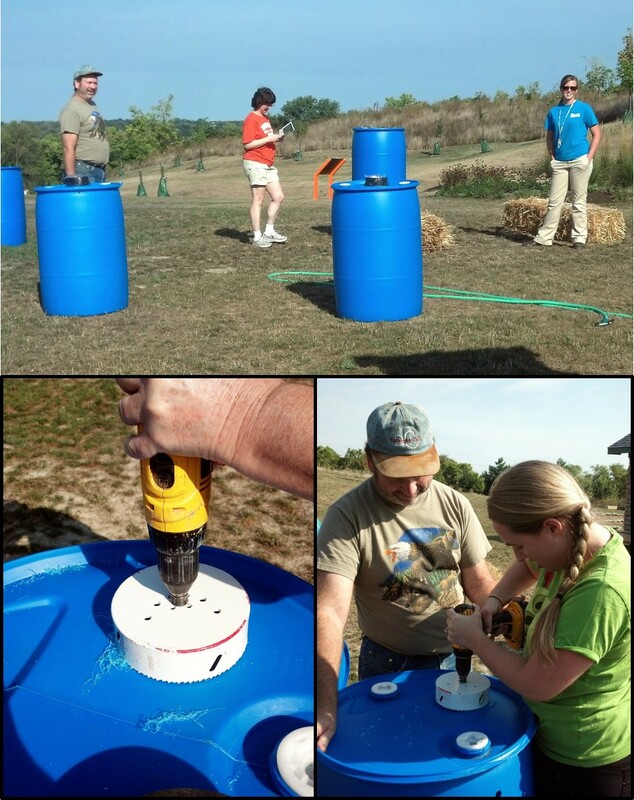 A couple of weekends ago, my mom and I went to a new park in Fairfield to make some rain barrels. I’ve been wanting a rain barrel for a while. We have well water at The House, so water isn’t a challenge here, but I really want to be a better steward of the resources God has given us. Rainwater is one great resource. But before I get going on how great rain barrels are and how we made ours, I want to share about the park! left: rock at the entrance with benefactors of the park. right: windmill used to aerate the pond through an underground tube. This park has a very cool back story. I remember hearing about it a year or so ago, and now, having seen the finished product, I’m very impressed. 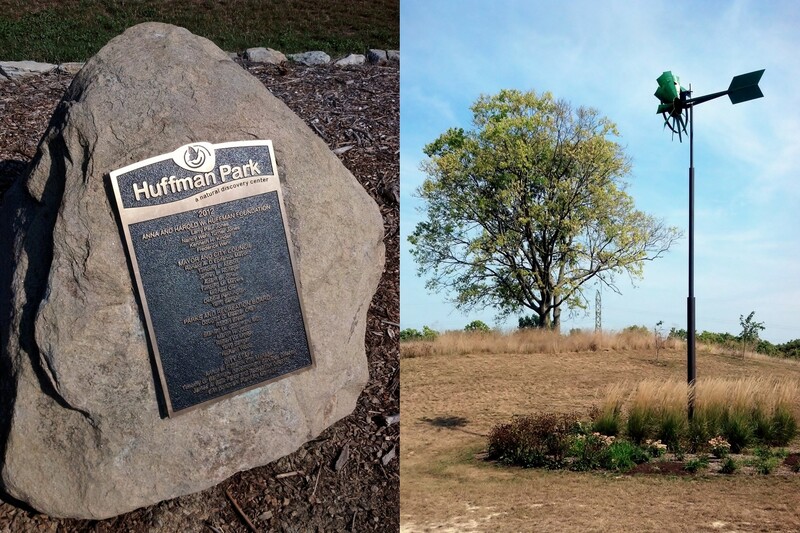 The Huffmans owned the property, 22 acres, and maintained the property as natural open space for their kids to play in. When the couple died, the family donated the property, land and buildings, to the city to be turned into a public park. The two conditions were that it had to be a learning park for families and all the materials in the house had to be repurposed (whether in the park or through the Habitat for Humanity Restore facility). I believe the park staff said that 92% of the house was salvageable and repurposed in some form or another. Even if that’s not the right number, the percentage was very high. Some of the trees on the property were repurposed into playground equipment. clockwise from top left: tunnel with an overhead viewing spot in the center; wood balance beam and a rock circle; bumble bee monkey bars (there is some metal on this but even in the hot sun it was cool to the touch); pond with native aquatic plants to attract waterfowl. Not only is there play equipment for recreation, there are quite a few places for learning more about nature. 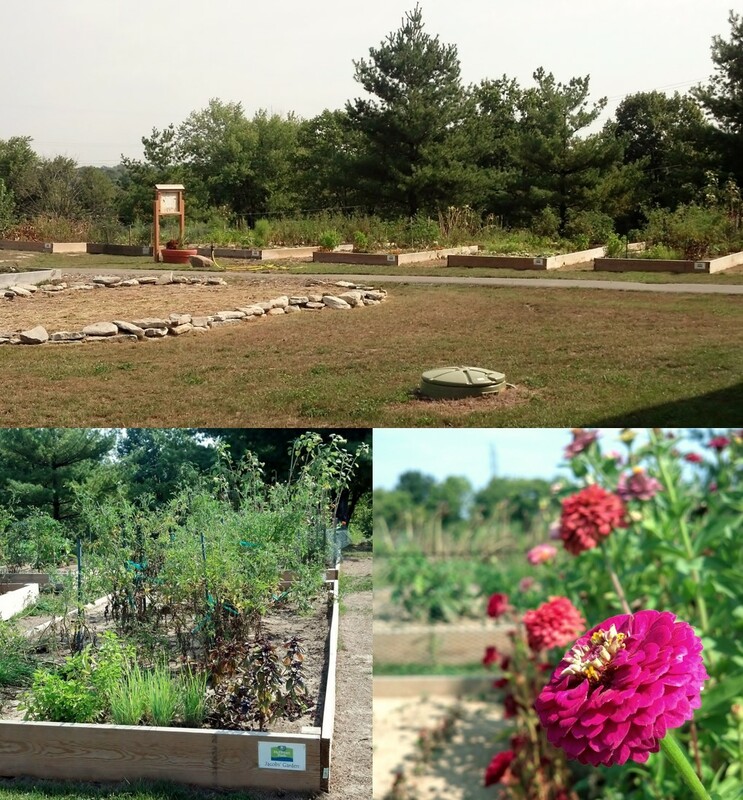 The property includes several learning spots like a butterfly garden and a fruit and nut orchard. We even saw a persimmon growing on one of the tiny trees growing there. 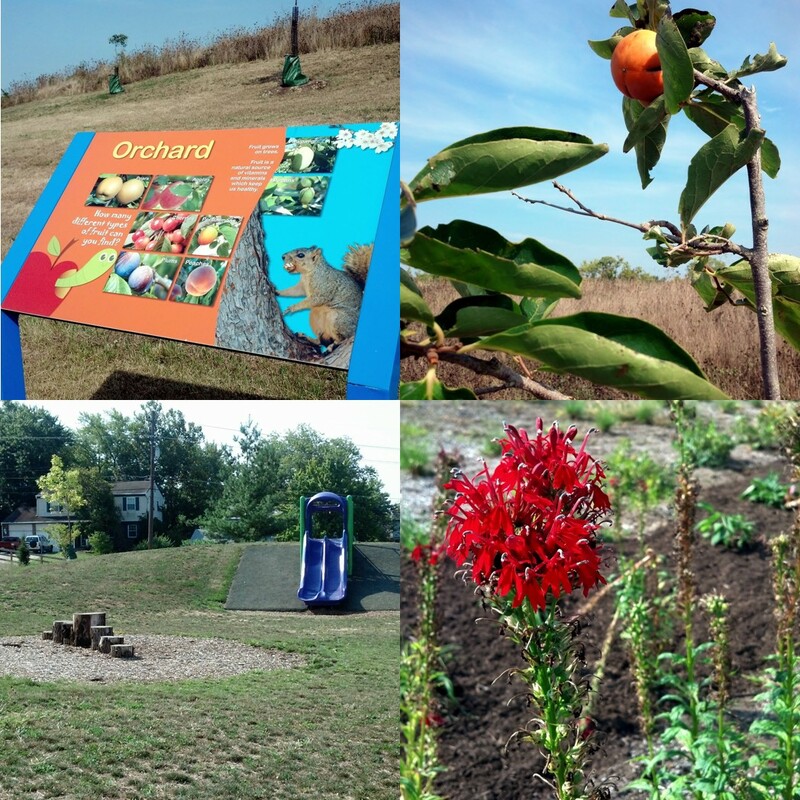 clockwise from top left: orchard learning station; tiny persimmon tree with fruit; more playground equipment and tree steppers; beautiful flowers to attract butterflies. 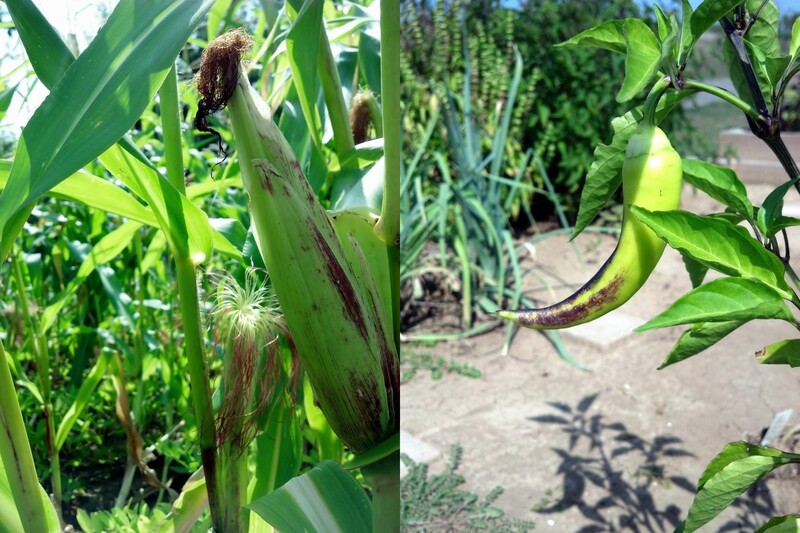 Last year, I took a community garden class down in Cincinnati. At one point I stopped attending (I’m not sure if we were done, or I pooped out), but I learned so much about natural gardening techniques. I would love to take more classes like that (especially for the free price) in the future, but I was so excited to hear that they would have community garden plots at Huffman Park. I had to check them out while I was there. They are completely self-service, so if you don’t maintain them yourself, they will die. But it’s a great idea and there was some good stuff to see. This was late in the summer and the plants were already getting brown and scorched in that heavy heat, but I bet it looked great during the growing season! Baby corn and some peppers. Yum! Ok, back to the rain barrel class. Sara was our teacher and there were 6 of us there making 5 barrels. My mom wanted to make one and I have wanted one for a while, so we both made our own. She ended up giving hers away, but ours is proudly out front in its bright, bright blue (that will soon be remedied with some spray paint…it is kind of an eyesore right now). We quickly went through the process and started at it. The hardest part was the hole saw. We had it figured for either not enough torque or too much. One of the men came over and helped stabilize the saw for me while I guided it because it was just too strong for me. I have two little snags in my t-shirt from where it shot off the top of the barrel towards my stomach. I was not harmed. I felt like wonder woman! clockwise from top: two of the “students” and our teacher Sara on the right; mom snapped a pic of me in action! ; cutting the big hole to sit under the downspout. We had a great time and learned a lot more about the park and made a couple of friends. Sara is the first naturalist on staff with Fairfield Parks and she is very enthusiastic about her job. She is looking for more ideas of things to teach Fairfield/Butler County residents. The classes are open to anybody, but they are a little more expensive if you live out of the area. Costs seem to be primarily for supplies. They have concerts, painting and photography classes, yoga, bird watching/learning, stargazing, etc. There are tons of activities for kids. Call or visit the city website (above) for more information. http://gettotheBC.com has a lot of great information about other activities throughout all of Butler County. It’s a definite must-visit for the local tourist. 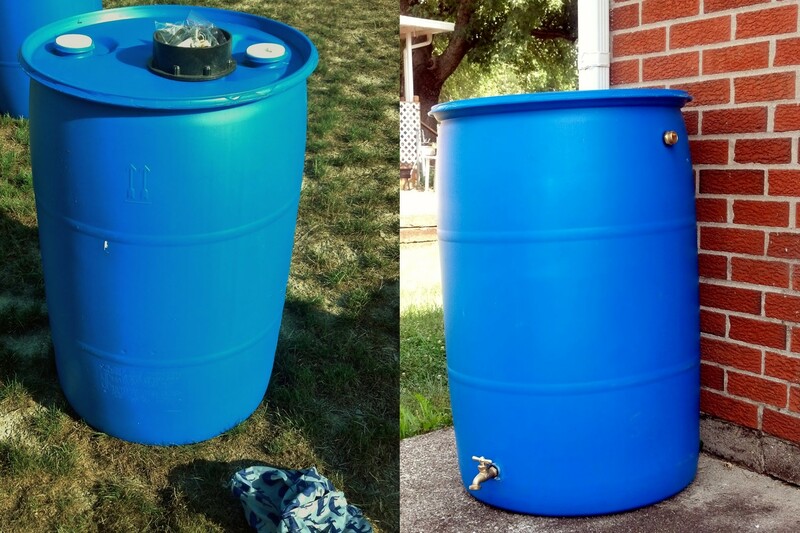 In the meantime, I’m going brainstorm how to paint my new rain barrel and get it ready for next year’s growing season! 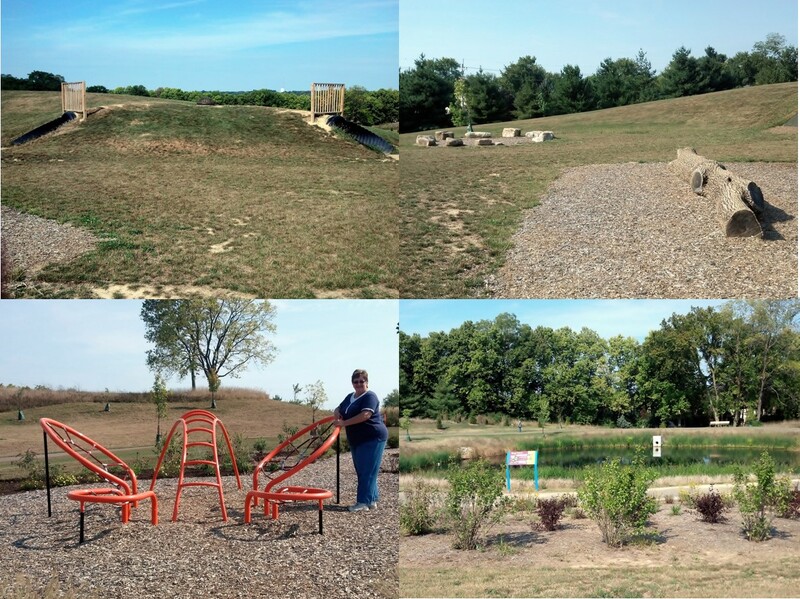 This entry was posted in Fairfield, Ohio, Parks, Review and tagged Butler County Ohio, community gardens, Fairfield Ohio, nature parks, Ohio, Ohio Parks, Parks, Parks and Recreation, rain barrels. Bookmark the permalink.